When you come to Canyon Creek Family Dentistry, you’ll get the best of everything. You’ll receive the same kind of attention and service you’d expect from a small, family-owned practice, and we’re also able to offer a wide array of services using the most advanced dental technology like a large corporate office. With us, you get quality and quantity at the same time, and it’s your family’s smiles that will always benefit. 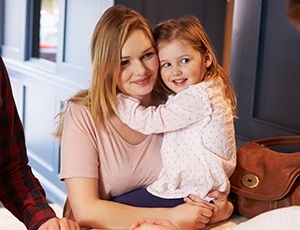 We’re happy to treat patients of all ages under one roof, so whether you’re looking for a dentist for yourself, your child, or both, we’re ready and able to serve you. We know that you have plenty of choices when it comes to dentists in Richardson, so why should you come see us? The answer is you’ll simply get more: more care, more service, but for fewer dollars. Our team truly are a bunch of sweethearts. They are also a collection of highly-trained and experienced dental professionals, and their #1 goal is to make sure you and your entire family have the smoothest, most stress-free dental experience possible. They’ll be there whenever you need them to answer questions or provide a helping hand. 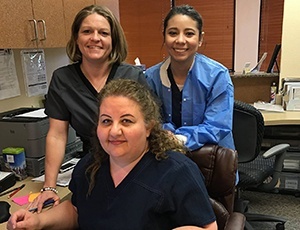 The quality of a dental practice is often determined by the quality of their team, and we’re happy to say that we have one of the best in the business! Your care and your needs will always come first, never ours. You’ll never hear a sales pitch, and we’ll never pressure you to get a treatment that you don’t really need. Our approach is to do the least amount of dental work possible to get the most positive results. Thanks to this, we’ll not only be able to preserve more of your natural teeth over time, but we’ll also save you countless hours and dollars in the dental chair. People are busier than ever these days, so we know exactly how tough it can be to fit a dental appointment into your weekly routine. At Canyon Creek Family Dentistry, we believe that no one should have to sacrifice their schedule in order to come see us, which is why we’re happy to stay open late during the week and even offer Saturday appointments. With us, you’ll never have to miss work or school to take care of your teeth. Dentistry and technology go hand in hand, and by using the latest tools available, we’re able to provide our patients with faster, safer, and more precise care. Digital x-rays enable us to find hidden dental problems while reducing your radiation exposure, and with our intraoral camera, we can finally let you see your smile from your dentist’s point of view, taking the mystery out of dentistry. 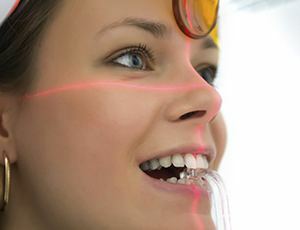 With us, you can trust that you’re only getting the best of what 21st dentistry has to offer. Do you or your child feel nervous or anxious about receiving dental care? If so, you’re far from alone. Thankfully, we’re able to successfully treat even the most fearful patients using sedation dentistry. 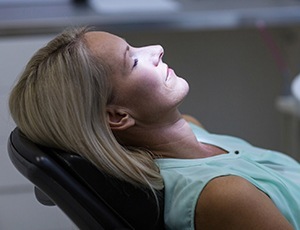 These safe and effective techniques can do everything from help you relax in the dental chair to make you practically sleep through your appointment. With it, we can finally take the stress out of your dental appointments. It’s very important to our team that our services are always affordable, which is why we’re more than happy to offer our patients multiple ways to save on their dental care. We accept all dental insurance plans and are in-network with all PPOs, and we take Medicaid plans CHIP, Liberty, Dental Quest, MCNA. We can even help you get flexible, low to no interest financing with CareCredit. All in all, we’re always willing to work with you to make sure your dental care fits easily into your budget.